KSW Displays is a complete Value Added Supplier focused on Flat Panel Displays and their complementary controllers and inverters. KSW also represent a high quality membrane keyboard manufacturer. Click on any of the products listed below for a more in depth description, product specifications, and links to manufacturers. KSW Displays offers many of the world's best manufacturers of Flat Panel Displays. The LCD's range from an NEC 5.5" QVGA LCD to the 30" XGA panel offered by LG Philips. KSW also offers LCD Panels from Samsung and AU. 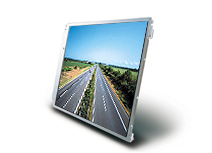 KSW offers passive LCD's ranging in size from 2.5" to 10.4". Passive LCD's provide a lower cost solution when lower power and portability are intricate to the application. IDW offers low cost quality Standard Graphic and Standard Charater Modules. KSW can provide whatever board is needed for our customers design. We work with some of the top suppliers of controller cards including Digital View and NewCom. Many LCD applications involve adding a touch solution. KSW offers touch screens manufactured by Microtouch and Elotouch and controllers by Dynopro. The three types of solutions include Analog Resistive, Surface Acoustic Wave, and Capacitive. LCDs require additional devices to complete a system. These devices include a controller, inverter, cables, and touch screen. KSW offers kitting services where the entire unit can be supplied as a kit or even assembled and delivered as a unit. KSW Displays offers several Value Added Services designed to assist our customers reduce their costs and increase the speed of the design cycle so that their products can reach the market as quickly as possible. Click on the above links for more detail.